Music and Ethics does not offer a general musico-ethical theory, but explores ethics as a practical concept, and demonstrates through concrete examples that the relation between music and ethics has never been absent. this is rather a question than an opinion, but could you connect somehow the possible relation between ethics in songs and how to present it to children at school, without being judge by there parents or society, as I tech ethics. thank you in advance for your answer. 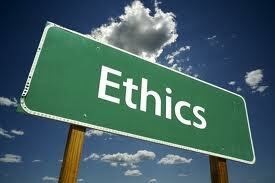 Hi, of course it would be possible to investigate the relation between (music) education and ‘ethics in songs’. However, I’m not completely sure as what you mean by ‘ethics in songs’; if you’re referring to lyrics it is not something I’m primarily interested in. Rather, my idea would be to think about the ‘construction of songs’ in relation to their ethicality. Another issue could be how to teach music to kids, something I partly and shortly dealt with in my dissertation (see elsewhere on my site). Your ideas seem to be coming from Foucault and Deleuze, talking about disciplining and control societies. I touch upon those thinkers in Music and Ethics but not from an education perspective.